What are some of the advantages of teaching English on Skype? How can you, the English teacher, make the most of Skype as an innovative educational platform? What are some best practices for novice online ESL tutors? What ‘good mistakes’ should you avoid teaching English online? This modern approach to teaching English remains particularly advantageous to tutors for many reasons. You can work from home, collect some money, and tutor English students beyond your r neighborhood, your city, or even beyond your country’s borders. You can become a global educator from almost anywhere! Skype also allows both teacher and student to “share their screens,” thus allowing for effective, real-time sharing of teaching material and student work. Perhaps the most useful capability is the record option: tutors and students alike can benefit greatly from being able to re-watch videos of their sessions. Where should novice online English teachers start? Yet many novice English teachers or ESL tutors may not know where or how to get started. A classic teacher-centric resource library BusyTeacher.org article offers several practical tips and tricks. Their excellent resource You, The Super Teacher: How-to Guides, Lesson Ideas, Print and Go Activities and More, delivers a short, though informative segment on this exact topic. Prepare for each English lesson in advance. Even when teaching exclusively conversation skills, it remains essential to lay out designated learning objectives. As The Super Teacher asserts, “you want to establish the session as a classroom environment.” The Compelling Conversations series makes this best-practice easy with self-contained lessons on dozens of topics and themes. Keep your environment consistent. Host sessions from an appropriate, well-lit room. I’ve used my home office, partly because it has a beautiful bookshelves in the background. Ensure your technology is functional before the session begins. Test your microphone, speakers and webcam using Skype’s testing service before hosting any sessions. Location matters. Just as you, the teacher, should conduct class in a quiet space, remind your students to do the same; suggest against occupying a place with excessive ambient noise, such as a café. Since you can’t gauge student reactions in real-time like you can in a typical classroom, keep presentations short – The Super Teacher suggests a length around 15 minutes. It is also crucial to frequently use comprehension checks. Are you with me? Can I move on? Remember listening comprehension is often an issue with ESL students. Give clear instructions. Take time zones into consideration when defining set timetables and implement both cancellation and no-show policies. To add, I would set a clear lesson agenda and share materials with the client pre-session as well. Keep conversation flowing. Make the conversations meaningful and memorable. Integrate speaking and writing by messaging follow-up questions as you speak and having students respond in the same way. Make sure to provide both direct and indirect feedback on the students’ “good mistakes” in a friendly manner. Consider choosing Dropbox or Google Drive for sharing documents and resources. If you have multiple students per session, The Super Teacher also recommends assigning short, group tasks that can be completed via share documents. This practice is also helpful for both reviewing lessons and creating tests. Set “office hours” for students to contact you outside of class – but be strict about them; you have the right to use Skype as a personal tool as well! Boundaries avoid problems. Many of the pointers read like common sense (e.g. don’t answer other incoming calls, don’t engage in unprofessional conversation with students in the absence of a traditional classroom environment). However, working from home is far more comfortable than an office or classroom – it can be easy to let your guard down and professionalism slide. Perhaps the more “obvious” pieces of advice are worth reiterating. Common sense, after all, is culture sense. It’s also often the result of prior mistakes made by fellow English teachers and tutors. Teaching English on Skype is nearly interactive as face-to-face. 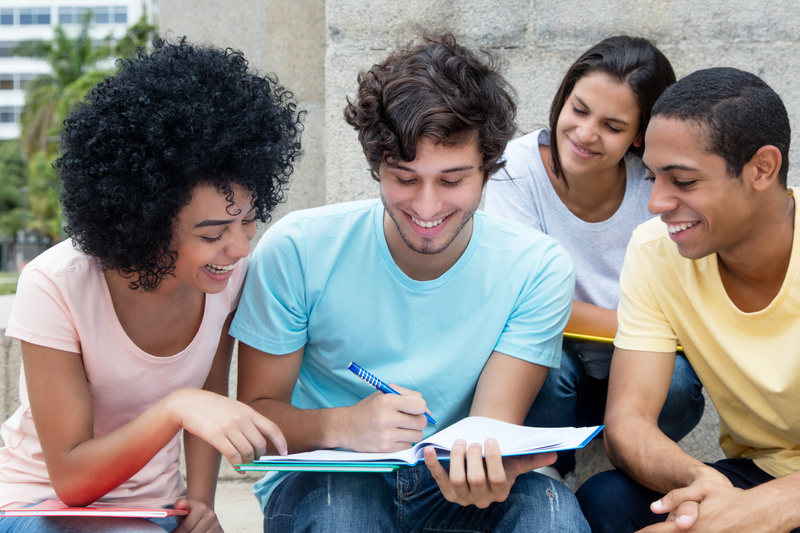 English tutors should consider its benefits when hosting their teaching sessions. Many English students appreciate the ability to review the recorded sessions. You can encourage this reflective practice by asking about their reactions to watching themselves in the previous lesson. You can also create your own portfolio documenting your ESL teaching technique and materials. Naturally, I’m pleased with this unexpected development and appreciate this 21st century method of holding face to face conversations – across borders – in real time. If you are considering teaching English professionally, becoming a conversation tutor on Skype provides a practical way to explore the field, gain practical experience, and put some nickels in your pocket. You may also want to take advantage of sites like eslteachersboard.com or eslboards.com, where you can upload – for free – your Skype lessons on your resume. Have you considered teaching English on Skype? What do you see as some advantages? What might be some barriers? What advice would you give to novice English teachers and ESL tutors seeking a few dollars and some experience? Tutoring Ethics: More Dos and Taboos for Novice English Tutors What makes a conversation-friendly English, ESL or EFL classroom? Teaching Matters: Creating Student-Centered Materials for Your English Classroom Are you prepared? Are you ready? Aren’t you nervous? Thank you, Laurie, for appreciating the article. I am glad that you found the information helpful. Prior to reading “Teaching English on Skype”, I never gave thought to using this platform as an ESL/EFL tool. This is mainly because I did not fathom how the ESL/EFL teacher can create something that resembles anything remotely close to a classroom environment on Skype. After reading this helpful article, I am now convinced that I ought to tutor English language learners by this teleconferencing service. The profound question about “good mistakes” (as the author of ”Teaching English on Skype” called them) ESL/EFL teachers might make when using Skype provoked me to look into this matter. As I searched the Internet for information on this topic, I read an insightful paragraph in “Teaching English using Skype” at the website Online Teachers UK. This paragraph strongly suggests that the teacher should not interrupt the student to correct his/her mistakes during a compelling or interesting conversation—something that ESL/EFL teachers are most likely already doing. “Teaching English Using Skype” recommends that the teacher send a transcript of the student’s errors, with their appropriate corrections, to the student via the chat box instead. Thank you for sharing that informative, detailed article on Teaching English using Skype from the U.K. I particularly appreciate the article’s attention to technical aspects, including the “secret” ability to edit messages and chats and the use of screen share and file share. It’s an excellent resource for both novice and experienced English tutors using Skype. Well done! Many TESOL students and college English tutors find that teaching English on Skype provides practical experience and earns some appreciated cash. As we’ve discussed, I think you would be an outstanding online English tutor. Preparation remains key. BTW, thank you, again, for sharing that outstanding article on some technical aspects of teaching online with Skype. It’s a very valuable source. After teaching English on Skype, I realized how I underestimated the work and the challenges of teaching online classes. Prior to that experience, I thought online classes would be easier to teach, which is not necessarily true. Teachers still need to prepare, but they have different challenges to look for and to overcome. This article provides essential tips to support teachers so that their online classes are successful! Thank you, Eric, for sharing this knowledge with us! Many English teachers and even experienced ESL tutors have made that same assumption and come to the same conclusion. Tutoring English online is harder than many expect. Or at least tutoring effectively online is harder than many trained English teachers and untrained native English speakers expect. Preparing for an English lesson remains essential, perhaps even more so than tutoring live. The online tutor can count on fewer shared experiences, beginning with the sometimes dramatic differences in time and culture. There are also subtler social factors, including how did the client find the tutor. Sometimes the purpose of the tutoring can be less explicit and purposes can be rather vague or mixed. That’s another reason I strongly suggest explicitly setting clear expectations (including schedule and payment arrangements). Yet tutoring English online also opens up a huge world of possibilities. It can be a meaningful, practical, and satisfying way to teach English and put some dollars in a dedicated tutor’s pocket. I just suggest you go in with your eyes open. Are you prepared? Are you ready? Aren’t you nervous?